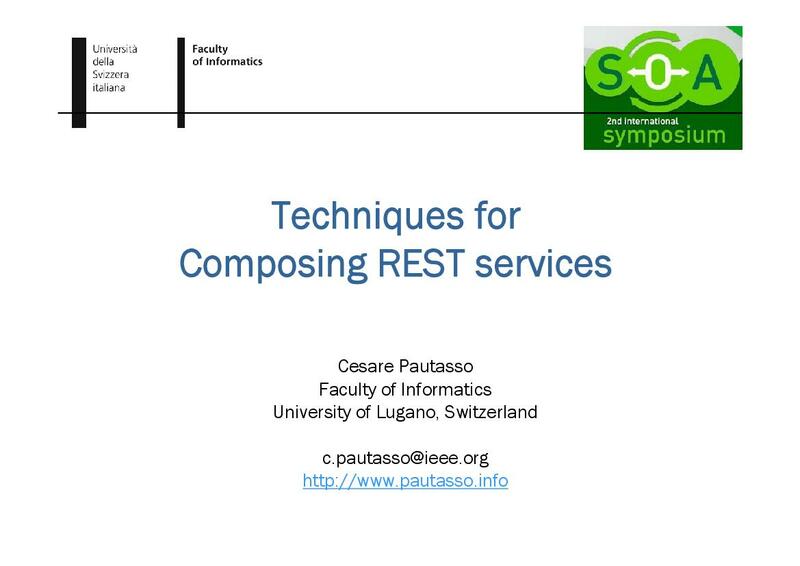 Pautasso, C., "Composing RESTful Services with JOpera", 8th International Conference on Software Composition, vol. 5634, Zurich, Switzerland, Springer, pp. 142-159, July, 2009.